As an immigrant who moved to Los Angeles from India in her teen years without speaking much English, and shortly thereafter made another big move across country to Durham, Dimple Ajmera is no to stranger to adversity. But when she lost her father to a sudden heart attack four years ago, the experience shook her to her core, as she puts it. "That sort of made me question everything that I was doing," Ajmera says. "I started realizing what is the true purpose of life. I started saying, 'You know, I've got to be a part of some of the solutions that our community needs.'" 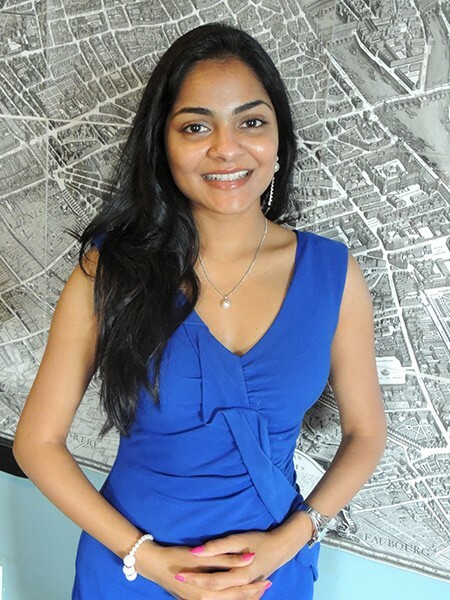 Just 26 at the time, Ajmera began working on affordable housing issues, and in 2015 joined the board of the Charlotte Housing Authority. Because of her work, community leaders pushed her to run for office, and as District 5 Charlotte City Council Rep. John Autry prepared to run for a seat in the N.C. House, Ajmera reluctantly shadowed him to see if political life suited her. In January, at 30, she made the leap, and was sworn in to become the first Asian-American to serve on the Charlotte City Council. As per a pledge she made when she agreed to take Autry's seat, she will not be running for reelection this year; however, she'll still be running to stay on the city council as an at-large representative. Now four months into her first term, we caught up with Ajmera to see how things are panning out for her and to talk Eastland, hate crimes and cycling. 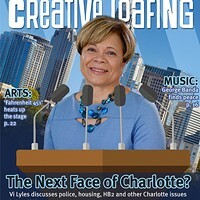 Creative Loafing: So you became more active in the community after your father passed, but what convinced you to then go into politics? Dimple Ajmera: Because of some of the work that I had done [with CHA], the neighborhood leaders said, "Why don't you run for office? Why don't you look at this?" And I said, "Uhhh, no, I'm far away from politics, I don't know if I want to do this." After shadowing John for about five or six months, I was like, "I think I can do this. I can give my time and energy, because this is the part where it needs a lot of leadership, it needs a real change." Was it an intimidating decision, with all the turmoil in local politics over the last year or so? I knew coming in it wasn't easy. I always look at it from this way: you can't complain being an outsider, because that means that you're not part of the solution, you're part of the problem. So I thought this is an opportunity for me to create a community that I want to live in. I cannot change the world's problems. I cannot solve what happens at the state level, but I can make some real change right here in our city, and address issues that are all local; our local sidewalks, our local jobs, our local housing. You can do a lot. You're managing a $2.4 billion budget every year. You could do a lot of changes being on council. And what I tell folks is that council has more effect on your day-to-day life than the president does. What sort of things did you learn from John during your time shadowing him? I learned how to govern effectively, how to read between the lines, how to work well with others, how to collaborate. I learned that politics is not always black and white, and you know this, there is a lot of zig-zagging. I sort of saw how he did things and zig-zagged and I learned from that. It's knowledge that you never get by studying. It's a practical knowledge. Also, he is very much into environment, and that was a new topic for me, so I learned a lot from him about sustainability. That was a big learning curve. He was big into cycling, too. Did he turn you into a cycling advocate, as well? I was at Open Streets 704 recently and I truly support the push for bike lanes, even though I'm not a biker. I'm more of a walker, I love to walk everywhere. But I think we've got to create this bike path, this whole model throughout the city, because, think about it, a lot of students, they don't have cars. I didn't have a car when I was in college, even after college I didn't have a car for a number of years. When you remove some of those barriers, when you create this bike path, it really connects people to jobs. It's not always about just being recreational, it's about connecting people to work and opportunities, and also sustaining a healthier lifestyle. So that's why it's needed not just in the Plaza Midwood and not just in the Uptown area, it needs to be everywhere, east, west, north, everywhere. You've made some drastic geographic moves in your lifetime. Are you just immune to culture shock at this point? Dimple Ajmera. Photo by Ryan Pitkin. I'll say this, I think great things happen when you're outside of your comfort zone, and I always push myself to work outside of my comfort zone and I think that's always helped me along the way, whether it's been getting a scholarship to go to college or it's networking with folks or even meeting community leaders to understand their true issues. You have to go to places to connect with real people and that means going outside of your comfort zone. You have to meet people where they are, as they say. Although you moved away from L.A. pretty quickly, you went back for college. Is there anything you miss about your time in Cali? I go visit my folks in California all the time, in fact I was just there for Mother's Day, and what I miss about California and L.A. in general is that healthier lifestyle, having healthier options to eat. And also the bike paths, the sidewalks, as a city we have a lot more progress to do to build that type of network. I absolutely miss that, because when I was in L.A. I didn't have a car, I used to walk everywhere. I lived downtown and I walked everywhere. You mentioned the healthier food options. Are you a vegetarian? I am. So having that variety of options — it's getting better here in fact with a lot of new restaurants coming, like Fern and Crisp. And then there is one in Dilworth. It's one of the best. There are a lot of options, but I remember when I moved here six years ago, we didn't have all of those options. So with the growth, the opportunities, and the diversity, it's changing. It's sort of like a revolution that I see. It's going to take some time. It doesn't happen overnight. Woodlands was one of the first spots to be making vegetarian food in Charlotte. Isn't that in your district? It is in my district and I take great pride in it. In fact, the Becton Park neighborhood right behind it was ranked as the most diverse neighborhood in this city. You know, we always talk about how do we diversify our neighborhoods, well look at east Charlotte. That's a perfect model that we can create in other parts of our city. Speaking of your district, the obligatory question everyone wants to talk about in District 5, what's up at Eastland? Since I started on council, I've put a lot of focus on driving the Eastland site forward, and I think we have done tremendous progress over the last four months. In fact, we are winning when it comes to Eastland. When I started we had no activity going on in that site, but just two days ago, we had over 40 development companies here in Charlotte — 10 national and the rest local and regional — looking at the site and participating in the developer's forum. So we've made great strides in that. Also we are bringing a myriad of activities. We brought the circus, which brought over 30,000 people that helped businesses along that corridor. People after leaving the fairs and festivals and the circus, they go out there and create more opportunities for those businesses. Now we are looking at some of the tactical urbanism that we can do, just inexpensive techniques that can create big results, a grassroots movement that is going to create a revolution for the east side; a catalyst for that side. We are looking at some of the small, medium-sized activities that can bring that excitement back, it's going to make that site a destination point like it was once. If you grew up in Charlotte, you probably grew up going there. I did. I would ice skate there as a kid. And that's what I hear from every single resident. "Oh, I used to ice skate there or I used to go get ice cream during the summer." It was a place of belonging where people felt like this is a place I would go and bring my first date there. I'm trying to create that same sense of belonging again. What feedback did you get from developers at the recent forum? Unfortunately, after the forum, we got feedback from the developer community, and some of the feedback was around regulatory challenges. Some of the feedback was around, you've got this 68 acres of land, it's really difficult to find one developer that's going to develop an entire 68 acres, that's a huge risk. The site is too big. The risk is too high. And if we do that it's going to gentrify the area. How can we make our residents and our local businesses be part of the process and not gentrify the area? When we break it down in smaller parcels it creates opportunities for these businesses to invest and they can be part of the catalyst for revolution. Some of the feedback that I'm going to work on, and I'm committed to doing this, is how do we divide this huge 69 acres into smaller lands? Smaller parcels create better opportunities for smaller investors who live in the area. There was a hate-crime that occurred in your district about a month ago, in which the owner of Central Market was threatened and his property damaged. I saw you there on the scene. Why did you feel it was important to show up there? I wanted to make sure that I do justice to my role in city council by serving and being there for people when they are at their most vulnerable. So when the Central Market incident happened, I got a call from one of the community leaders at around 10:30 or so. I talked to the business owner, they put him on the phone, and he was on the verge of moving his business or moving to another state. I said, "Oh, no, no, no, I have to be there." So I got there around 11:30, and I think our police department and fire department did an amazing job. They went beyond and above what they had to do to make sure that he felt at ease. He was nervous because he felt like this was a warning. [The note] said, "If you don't leave, we're going to come back." He was nervous. He was nervous for his family. Just a month before that incident happened someone had attacked his employee when he was on his way to work. This a series of events, and he was very vulnerable, so I felt like I had to be there. We sat down and talked and the firefighters and the police officers were there, and they said, "By you giving in, you are giving them more power." I think after several conversations, he felt that there was a community behind him. That uniqueness does exist in east Charlotte. When that incident happened, a lot of the neighbors came and shopped at that place that they've never been to just to support his business. That's the true asset for east Charlotte, is that people feel comfortable with each other regardless of where they come from. It's a refugee-owned business, he's from Bhutan, and this is a dream that he had seen 20 years ago when he was in Bhutan. To see that dream sort of being destroyed, it's a big shock. For me as an elected official, I feel that I am obligated to be there when people feel unsafe.